In 1909 the Minnesota hardware company, Marshall Wells, hired the Minnesota native and Spokane resident Albert Held to design their Spokane warehouse. This building was designed as a warehouse at a time in which all goods were traveled by rail to a central location, Spokane, and then they would be traveled by stagecoach to outlying communities, which were not served by rail. This made central warehouses central to expanding businesses to the outlying, especially western, communities. The Warehouse was initially designed as the main large structure, and the western annex. Later in 1946, the eastern annex was added and in 1973 the Pine street wing was added. These additions have been modified over the years to suit the needs of the company who operated the warehouse, for instance the old loading bays were modified to conform with the standard sizes of commercial trucks. The warehouse was sold to the Jensen-Byrd Company in 1958, in which Jensen-Byrd bought Marshall Wells Hardware Co.'s western holdings. This was an easy transition since Jensen-Byrd was also a hardware company. This acquisition yielded not only the warehouse on Main Street, but also various other retail locations throughout the Pacific North West. 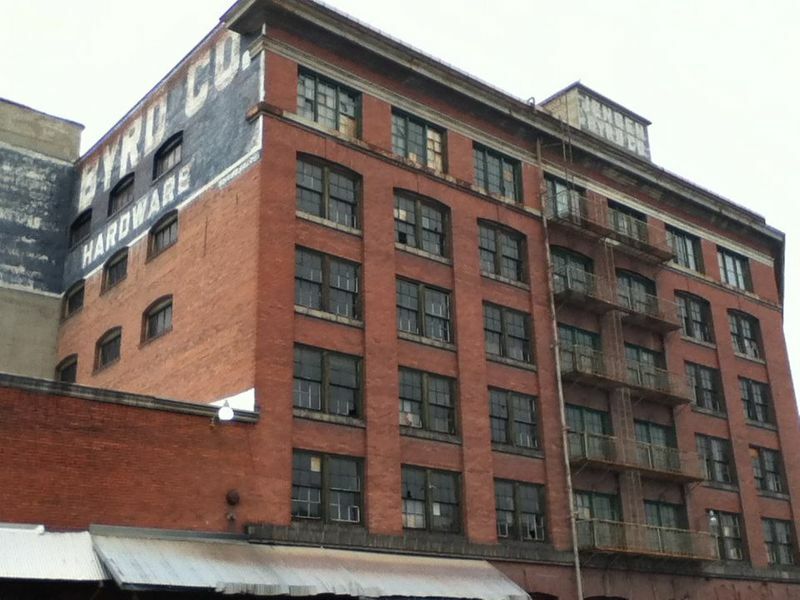 The Marshall Wells warehouse is iconic of warehouses in Spokane after the Spokane fire of 1889. The Marshall Wells warehouse was significantly larger than anything around it when it was completed, in 1911 a photo was taken from the roof, which gave the viewer a clear sight to the Schade Brewery. In the late 19th century and early 20th century, warehouses relied heavily on railroads, which is why many of them were built very near the railroad, which ran only about a quarter of a mile south of the Warehouse. Although other warehouses from this period do exist, the Marshall Wells warehouse is an example of one of the largest warehouses of this style still standing and an excellent reminder of Spokane's railroad economy in the early 20th Century. 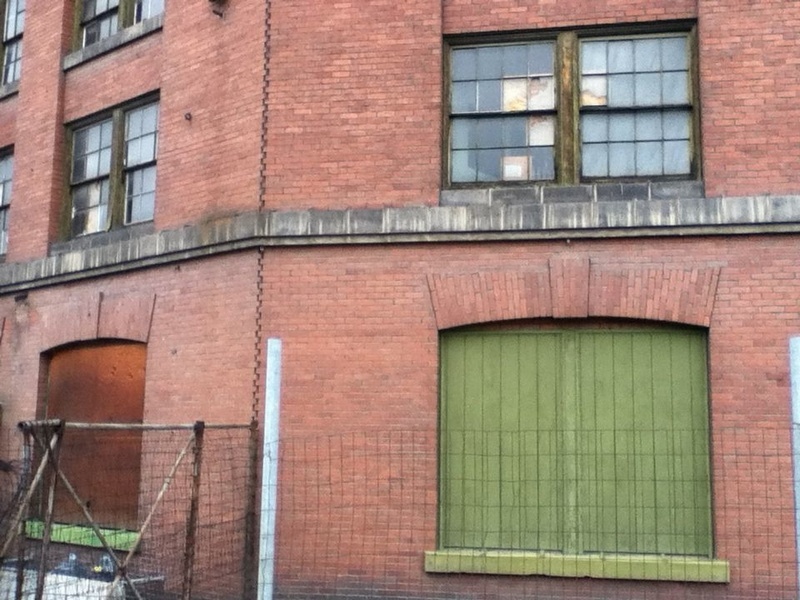 This warehouse is a standing chronicle of the transportation and storage of goods in Spokane. 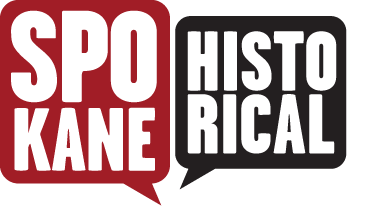 The warehouse, as it has been modified over the years, can help us to understand the changes to the transportation industry in Spokane and how warehouses adapted to these challenges. In 2012 the latest owner of the Jensen-Byrd, Washington State University, declared their intent to raze the historic structure to build a student apartment block. 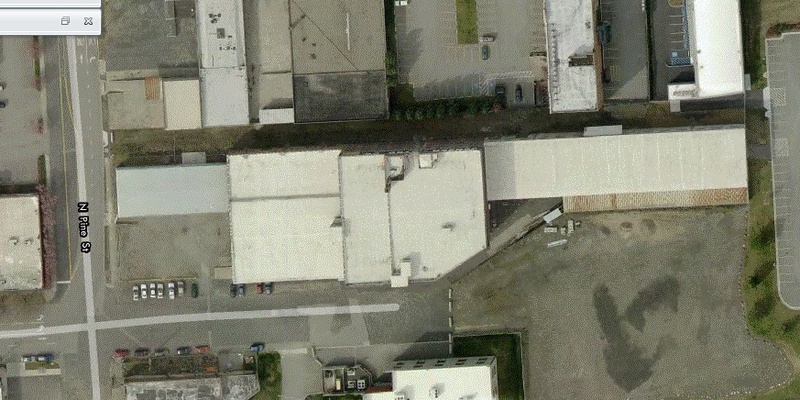 Airial view of the Marshall Wells Warehouse: Image courtesy of the Spokane County Assessor's office. Loading Bay at the Marshall Wells Warehouse: Notice the modified loading bay and the wooden framed, eight pane double hung windows. Image courtesy of Zachary Wnek. 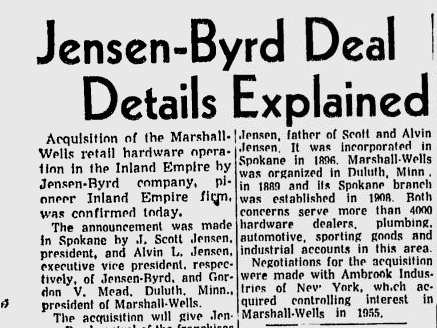 Jensen-Byrd buys the Marshall Wells Warehouse: Image taken from the Spokane Daily Chronicle, printed March 31, 1958. 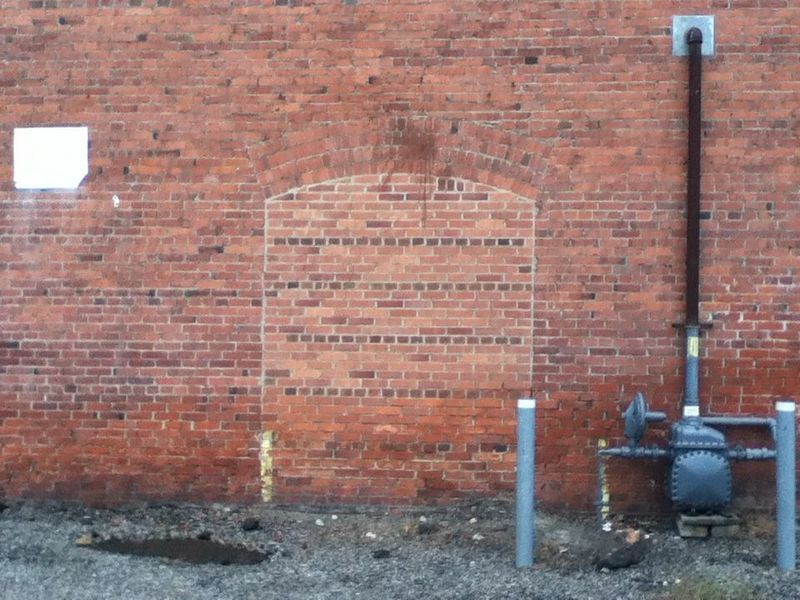 Modifications to the Marshall Wells Warehouse: Notice the size of the original loading bay and the brick arch work at the top of the loading bay. This is one example of many modifications to the Marshall Wells Warehouse. Image courtesy of Zachary Wnek. Story adapted from: "Killed in Fall of Two Stories." The Spokesman-Review, April 3, 1934. 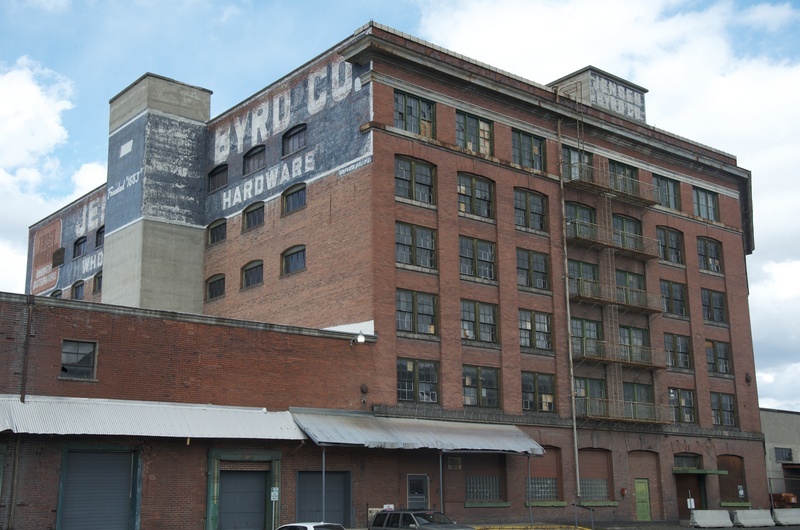 Zachary Wnek, “Jensen-Byrd Warehouse,” Spokane Historical, accessed April 20, 2019, https://spokanehistorical.org/items/show/166. "Hardware Firm Buys Building." The Spokesman-Review, May 18, 1951. "Jensen-Byrd Acquires Marshall-Wells Firm." The Spokesman-Review, March 30, 1958. "Jensen-Byrd Deal Details Explained." Spokane Daily Chronicle, March 31, 1958. "Marshall Wells to Spend $120,000 in Improvements." Spokane Daily Chronicle, January 26, 1945. "Summary", Parcel No. 35173.0509, http://www.spokanecounty.org/pubpadal/ParcelSummary.aspx.